Parliamentary speaker, Talat Xhaferi has opened today’s session in parliament in the Albanian language, as the law on languages stipulates. However, the largest opposition party, VMRO-DPMNE has objected to this and has left the proceedings. “This is a violation of Constitution. This is being done ahead of the elections for some extra votes”, says Nikola Micevski, VMRO-DPMNE’s parliamentary group coordinator. 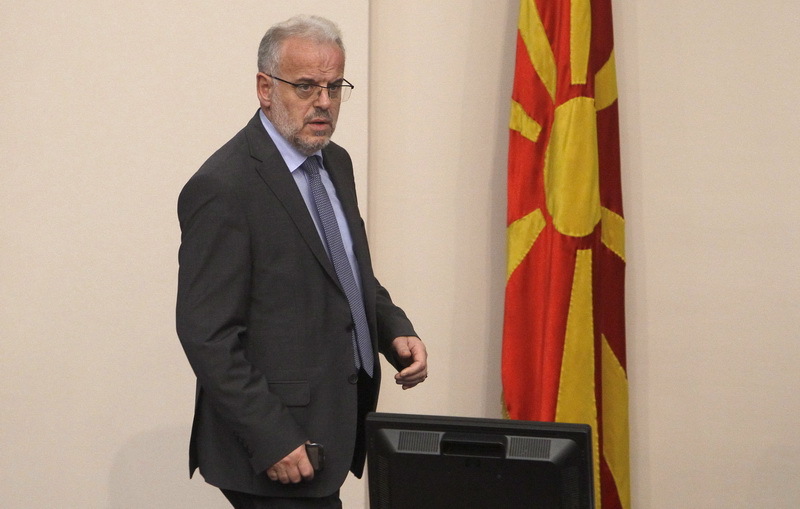 However, parliamentary speaker Xhaferi has dismissed the opposition’s claim. “The law is in power and it’s being applied. This is not a case of breach of the regulation”, Xhaferi said. SDSM’s coordinator, Jovan Mitrevski says that this government and this parliamentary majority want to built a society for everyone. “The language is one of the main pillars of this concept, of this society. The language benefits all citizens”, Mitrevski said. The largest opposition party, VMRO-DPMNE submitted a few days a request for the abrogation of the law on the use of languages, which advances the use of Albanian language. This law has not been signed by president Djorde Ivanov and has only been enacted with the signature of the parliamentary speaker.